It’s amazing that it survived French Revolution(s) and two World Wars and then burns down today. Why doesn't God just save it? Terrible shame, loved visiting it. strawberry floating devastated. Was there about two months ago and the sheer majesty of the place never failed to impress. 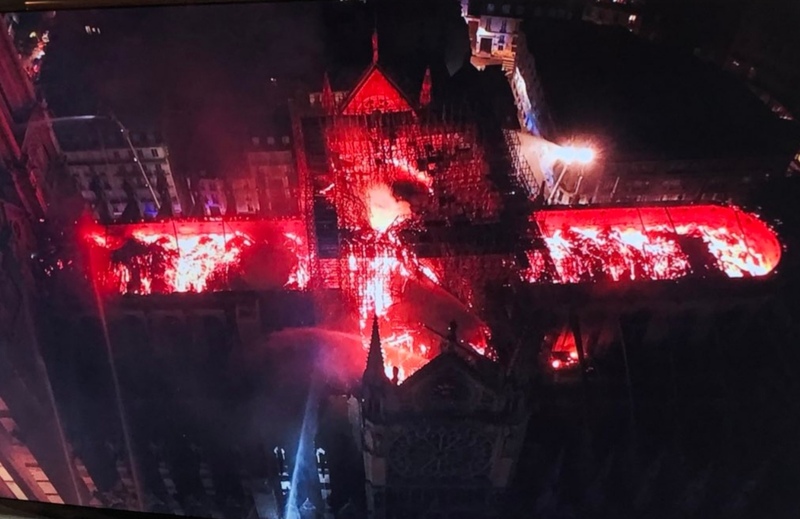 They've apparently saved the main structure and, according to a few tweets citing a Notre Dame official, all of the artworks and relics. The windows are gone though, some dating back to the 12th century. An unbelievable loss. I was reading that the cause of the fire is believed to be an accident, so at least this wasn't some strawberry floater doing it on purpose. Lagamorph wrote: I was reading that the cause of the fire is believed to be an accident, so at least this wasn't some strawberry floater doing it on purpose. Yeah, mark my words it'll be a builder who left a lamp on, the exact same thing that happened with the Cutty Sark. That hasn't stopped InfoWars and multiple game news Twitter accounts spreading news that it was a deliberate attack however. Tafdolphin wrote: That hasn't stopped InfoWars and multiple game news Twitter accounts spreading news that it was a deliberate attack however. To be fair, no-one's been able to prove it wasn't interdimensional vampire paedophiles and/or the Clinton Foundation. Also known as the Dome of the Rock, for any Age of Empire 2 fans. Prett sure Taf said it was Preezy's Shark. I didn't know you had a shark. Devastated at the news of Notre Dame. Such a beautiful place. One of my favourite places. I am donating to the restoration fund. A french billionaire has pledged 100 million euros. Top bloke. 850 years of culture up in smoke. Hope they can get in there soon to survey and start to restore.